Let’s talk about protein. With a strict Paleo diet, protein is extremely important for everyday nutrition and to fuel intense workouts. While Paleo often gets labeled as “low carb”, but it is really an emphasis on HIGH-QUALITY protein. I get plenty of carbs from vegetables and non-grain starches. However, my protein choices are more intentional instead of incidental. A few weeks ago, I received a shipment of protein products from About Time. What intrigued me the most were their Fruit and Nut bars because they fit right into the Paleo guidelines. Since I was in the middle of a Paleo reset challenge, I was thrilled with these bars. With just 3 ingredients, these were high in protein with 11g of egg-white protein and tasted like fruit and nuts should taste…like fruit and nuts. No chemical aftertaste. These were gluten-free and sweetened with dates. These were great for those long days when I needed something between my lunch time at 10:30 and the last student in the tutoring program is on the bus at 5:15. 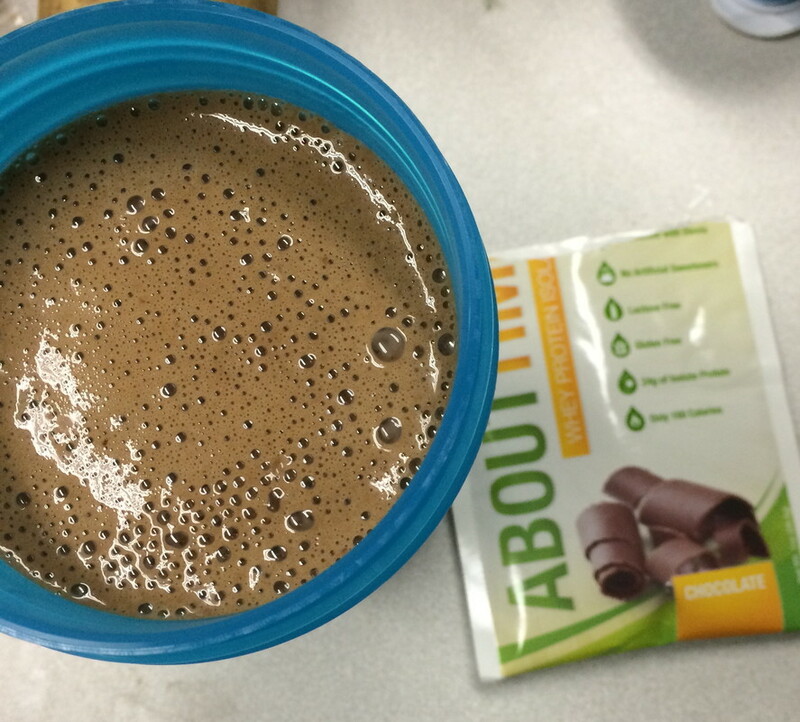 I had these in my bag and they were perfect for grab-and-go fuel before a late-day workout. I also tried the whey protein powder in my morning pre-workout shake. I tried the chocolate. The first thing I noticed about this is the smooth texture that doesn’t leave grit in the bottom of my cup. The next thing I loved was the taste! I mixed it with coffee, banana, and almond butter and it was like dessert in a cup. Banana, Birthday Cake, Chocolate Peanut Butter, Cinnamon Swirl, Mocha Mint, Peanut Butter, Strawberry, Vanilla and Unflavored. 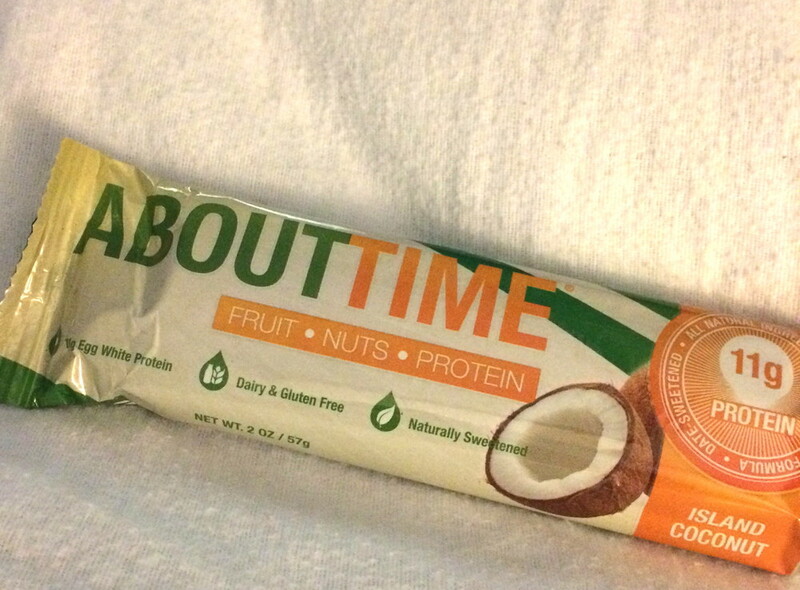 In addition to the Whey Isolate protein powder, About Time has a vegan protein powder, a nighttime recovery protein powder that is fantastic after a late-day workout, meal replacement bars, and supplements. For more information on About Time and their line of protein products, check them out on Facebook, Twitter, and Instagram. Previous Post: « Whole 30 2015 is FINISHED! !